This week sees the beginning of Comic Con International, a mega-celebration of an artistic genre that’s close to Hausman’s heart. In 2013, artist Thomas Warming drew a strip that depicted the team as superheros, each with a special skill deployed in the service of Hugh G. Talent, an architect struggling to get recognition for his work. 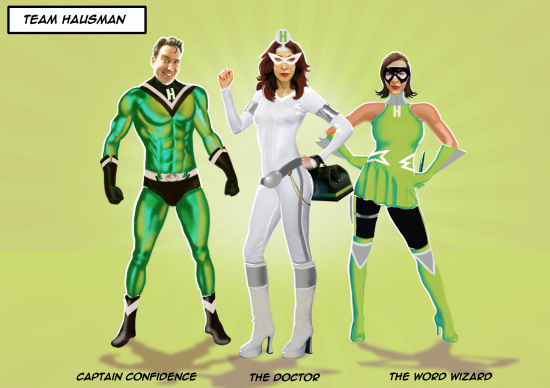 From crafting a mission statement to media training, Hausman helped defeat such notorious villains as Miss Communication and the Brand Bandit.